It is a sad fact of life that relationship breakdown affects people in all walks of life. However, the sorts of issues that can arise for farming families are, to an extent, unique and can often add an extra layer of complexity in resolving things. In years gone by almost all advice in this area was taken after the event – that is, once the separation had taken place. However, increasingly people are looking at how their financial affairs may be affected by a future separation, and steps can be taken to mitigate against the effects of relationship breakdown in advance of it happening. In this article, I will consider the issues that arise for married couples, with those for cohabiting couples being reviewed in a second article to follow. When a married couple separate, the principal focus from a financial perspective is usually on the division of their assets. The starting point is to identify the “matrimonial property”. That is defined as all property belonging to the husband, the wife, or both of them, at the date on which they separated, provided it was acquired during marriage and not by way of gift from a third party, or inheritance. Anything owned prior to marriage is excluded from the “pot”, as are gifted or inherited assets. The starting point for dividing the assets is an equal sharing of the “pot”. Three particular issues arise for farming families going through separation and divorce. The valuation of farm land can be a complex area and can be subject to very different opinions. Particular issues can arise due to the lack of comparable evidence of the sale of similar farms (in one such case, the parties’ valuers opinions were almost £1m apart) and/or differing views regarding development potential of a farm – again the difference between a pure agricultural valuation and one taking into account development value can be significant. In addition to the value of farm land, or indeed other farming assets owned (stock, machinery etc) it can be the case that business interests themselves will have an intrinsic value – whether those be in the form of partnerships or limited companies. This issue too can lead to an expert valuation being required, this time from an accountant. Ownership of farming assets is often restructured, which can complicate the identification of matrimonial property. Two common reasons for restructuring illustrate the issues. Firstly, assets may be passed down the generations, perhaps as part of Inheritance Tax planning, or simply because the next generation are taking over. Farm land or a farming business, or both, can be passed from one generation down to the next. If that happens and the asset remains in the same form as it was gifted/inherited then the asset will not be part of the “pot”. However, if those assets are restructured (perhaps if an inherited farm is sold and the funds used to buy another) then that can have the effect of bringing them into the “pot”. Secondly, it is common, for income tax planning reasons, that partnerships are set up between husband and wife and sometimes farm land is brought into that partnership as a partnership asset. Arguably this can “convert” an asset that was previously out of the “pot” into an asset in the “pot”. It can be said that the nature of the ownership of the land has changed, and the partners of such a business acquire their interest in the business during marriage, making such interests “matrimonial property”. Farms can have a significant value and one that might have increased vastly over the years. When a married farming couple separate they can have assets worth large sums but little by way of liquid cash. That is not an uncommon occurrence. To divide the value usually involves looking at the sale or partial sale of land/assets, borrowing against land or assets, or financing a settlement via structured staged payments. Often, pursuing any of these courses can have an effect on the profitability and/or financial viability of a farming enterprise. Getting the settlement right can be critical to the future of the business. The principal time to consider forward planning for potential relationship breakdown arises in the event of a restructuring of assets or business interests. If the restructuring of assets is appropriate for good tax planning reasons, married couples might consider entering an agreement to seek to preserve the existing status of an asset as out of the “pot” – a pre-nuptial (before marriage) or post-nuptial (after marriage) agreement. Such agreements are contracts and make provision for what is to happen to certain assets in the event of a separation between the married couple. Do they “work”? Shortly put, yes. 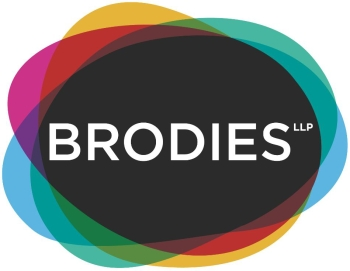 They are routinely entered into in Scotland and are often designed to ring-fence business assets or assets that have been in a family for generations, and to protect them from the potentially calamitous effects of a divorce. Such agreements can be viewed as being similar to insurance. Nobody wants to take out insurance and pay the costs of putting it in place, and one hopes never to have to make a claim. However, it is there if needed. Hopefully this article illustrates the sorts of issues that can affect farming families dealing with marital breakdown and the sorts of things that can be put in place to mitigate against unwanted financial consequences of a separation. If you would like advice on any of the issues raised, please get in touch.